For the last seven years since the advent of the iPhone and the popularity of smartphones, digital interactivity has increased at an exponential rate. Consumers use their cell phones and tablets to search for information, to engage with friends, family and colleagues and to be entertained. Unlike direct marketing where marketing messages lay solely with companies and associated agencies, today interactive marketing involves participation by consumers increasingly. In 2007, John Deighton, a business professor at Harvard Business School, and Leora Kornfield, Research Director at the Mobile MUSE Consortium in Vancouver, B.C., researched trends in digital marketing and consumer engagement in their paper, Digital Interactivity: Unanticipated Consequences for Markets, Marketing, and Consumers and discovered five market paradigms: thought tracing, ubiquitous connectivity, property exchanges, social exchanges and cultural exchanges. These paradigms acknowledge that marketing power has shifted as consumers exert more authority in their interaction with media. These five paradigms proposed by Deighton and Kornfield, offer insight into how consumers interact and engage with media, how companies and marketers often respond to pursue marketing goals and the different digital markets that are created as a result. In thought tracing, people search for information and entertainment on the web. Based upon search queries, companies infer states of mind from the context of search. As a result, a digital market in search terms develops. Ubiquitous connectivity involves the constant integration of computing into the daily life of consumers. Companies often seek to connect with consumers by exploiting information based on proximity data. The digital market that emerges, focuses upon access and identity. In property exchanges, people participate in anonymous exchanges in goods and services. Companies respond by competing with these exchanges instead of participating with them. Digital markets based in service develop where reputation and reliability is emphasized. In social exchanges, consumers build identities within virtual communities. Firms sponsor communities and in turn, digital markets develop within communities and compete based upon functionality and status. In cultural exchanges, consumers pay attention to and engage in cultural exchange. Companies respond by offering cultural products and compete in buzz markets. So how do you as the owner, marketing manager or director create a marketing message that resonates with and engages your target audience? How do you build brand loyalty and subsequently, identity loyalty in this age of interactivity? It helps to start by paying attention to consumer interests and opinions. Where do consumers in your market area go to share information and give feedback about their consumer experience? You gain valuable consumer insight through review sites such as Epinions and Trip Advisor, networking sites such as Facebook as well as user-generated content such as blogs and YouTube. For example, in 2007, Unilever recognized that its target market (young urban women) for its Sunsilk shampoo watched numerous how-to and user-generated, customer experience videos about hair products prior to purchase. Unilever created a video Bride Has Massive Hair Wig Out with a Toronto production company that showed a horrified bride reacting to her hairstyle on her wedding day and cutting off her hair with scissors while bridesmaids try desperately to stop her. The video had an amateur production quality but gained immediate traction among young women with over 3 million views on YouTube and was shared frequently on talk shows. As a result, Unilever successfully increased identity loyalty in its core demographic – young female consumers – for its Sunsilk shampoo brand. Food companies like Campbell watch what you eat, studying how consumers buy, eat and interact with food similar to the way anthropologists may have studied indigenous tribes. 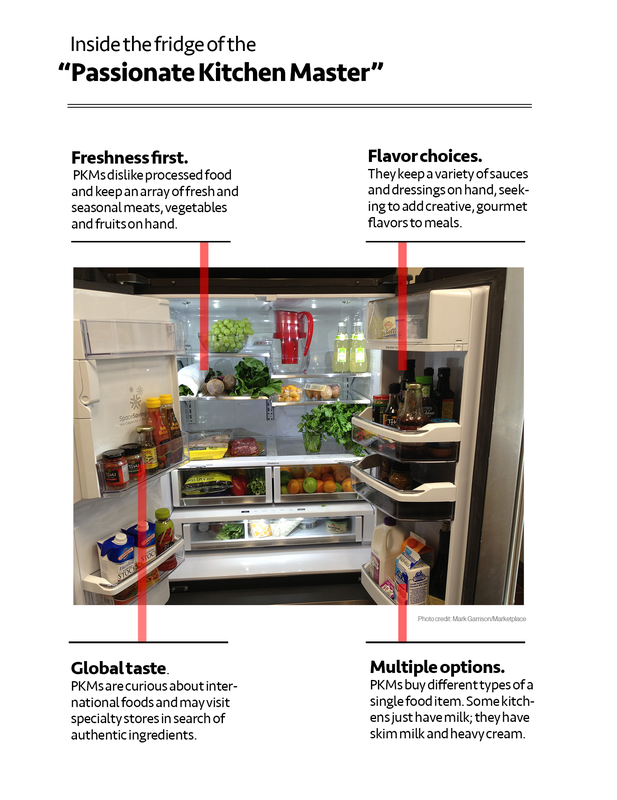 Campbell created a test kitchen “Passionate Kitchen Masters,” mirroring consumers to understand how consumers search, find and consume food from microwaved products to artisanal cheeses and gourmet meals. The company has invested a lot of time into personalized research instead of mass surveys. Developing identity loyalty among consumers for Campbell’s is as much tied to personalized needs as much as taste preference. “We’re in their homes,” says Charles Vila, Campbell’s vice president of consumer and customer insights. “We are cooking with them; we’re eating with them; we’re shopping with them. One of their discoveries was recognizing that consumers often use broth in meals and while it is not the most glamorous product, broth is a vital component of soups, stews and sauces, accounting for $400 million in revenue for Campbell’s annually. While some companies have based results on groups as small as ten people, Americus Reed at Persona Partners, urges against doing this. For example, Song, a Delta airline launched ten years ago, outfitted its flight attendants with fancy uniforms and silly entertainment routines based on research where consumers said they wanted more ‘joy’ on their flights. However, the fun did not last as hoped and Delta shut down the fledgling program after two years, filing for bankruptcy protection. “Even though if you ask them to talk about and observe them, they’ll tell you all kinds of things about trying to make the experience much more fun, what it really comes down to for most consumers is: who’s got the lowest fare?” Reed says. In conclusion, these principles are meant to serve as a blueprint for executing a well-conceived digital marketing strategy geared to delivering specific outcomes. If the outcome sought is Identity Loyalty, then these principles can serve very nicely to craft a digital marketing strategy to engage the consumer in such a way to position the brand in a light that reflects the ideals and values that represent the very audience to which you’re seeking establish a relationship.